The historical origin of deli meats containing the rind (pigskin) as ingredientdates back to the 16th century, as confirmed in the writings of the physician and historiographer Marco Cesare Nannini. The story of cotechino started in 1511, in Mirandola (province of Modena) during the siege of the city by Julius II. On that occasion the citizens of Mirandola began using the bacon ring as an ingredient of a cold cut to be cooked, giving rise to the cotechino. Initially was produced in Modena, later it spreads also to other central-northern regions, where the same knowledge in the art of producing cold cuts was spread. At the time of the Duchy of Milan, it was famous as “codeghin” in the whole Padania. 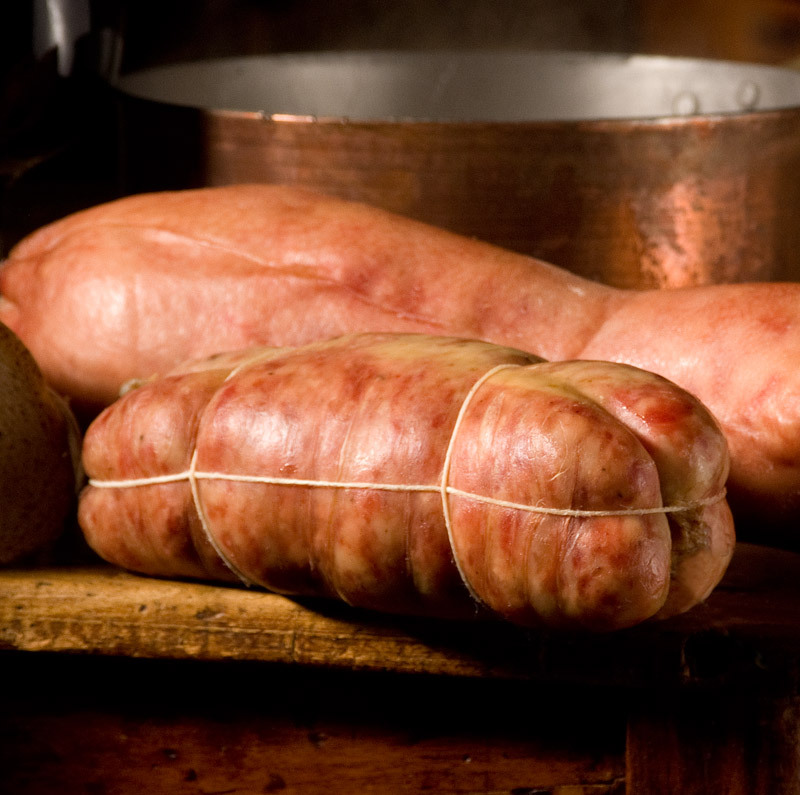 The Cotechino Modena PGI is obtained from the striated muscles, from fat, and from rind, adding pepper and salt. The raw materials go into a mixer where they are flavored with salt and spices and then made in sausage. The last stage is drying in stoves. Sometimes it may follow a baking and sterilization process in vacuum packs. Finally, the mixture is put into casings. It served hot or warm, matched with potatoes (boiled or pureed) or spinach, or in the classic match with lentils. In Italy, it is a good wish for New Year. It’s tasty also with zabaglione. 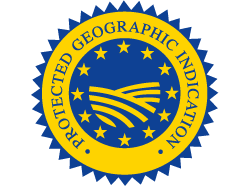 Protected Geographical Indication (PGI) recognized under EU Reg.to CE n.590 of 18.03.1999 GUCE L.74 of 19.03.1999.